Continue reading "Records management for your small business"
As a small business owner you face many different things that can cause you to lose your business. Being sued due to negligence and other things can completely devastate you financially and it will cause you to lose your business. There are other reasons why you could be sued and all of them are preventative with a few simple steps. Here are some of the reasons why small business owners may be sued and what you can do to prevent it. Continue reading "How to avoid getting sued as a small business owner"
What do I need to do to get a small business license? Continue reading "What do I need to do to get a small business license?" Each state has different regulations about small businesses. There are some federal licensing requirements and regulations your business must comply with in order to stay in business. Here is a guide to help you with your small business. Continue reading "Government small business requirements"
You are ready to start your small business but where do you start? Let's focus on the legal aspects you should consider when starting up your small business. The first thing you need to decide is what type of business you will be. Are you going to set company up as an LLC, a S-Corp, etc.? Below is a brief description of the various types of business licenses that can be acquired. Continue reading "Legal procedures to start your business"
What types of business licenses do I need? When opening a business there are so many details that have to taken care of that the small business owner can sometimes become overwhelmed. Yet one of the things that is crucial and should be taken care of immediately is to get a business license. The question is what is a business license and do you always need one. The answer to that question can be specific to your situation but there are certain guidelines that should always be followed. Here is some information on what types of business licenses you may need for your small business. Continue reading "What types of business licenses do I need?" When starting a business, there are many things to take into consideration. One of these is whether or not to obtain a trademark for your business. A trademark helps to protect the words, names, symbols, or other distinguishing characteristics of goods and services provided by a business by legally preventing anyone else from using them. Examples of trademarks include the apple for Apple Computer, the roar of the MGM lion in movies, and many others. Continue reading "Tips for filing a federal trademark application"
If you are an owner of a small business or any type of business you are well aware of the fact that business laws are constantly changing. And that one thing that you are going to need to do to ensure that your small business is legal is to keep up on the constantly changing business laws. This can actually be a rather daunting task because of how complicated the laws can be, not to mention the fact that not all changes are publicly announced. So one of the best things that you can do to ensure that you are making your small business legal is to hire a lawyer and an accountant to make sure that you are filing out all the right forms, are filing your taxes correctly, and numerous other things that you need to do to make your small business legal. Continue reading "Making your small business legal"
What should I do if my tenant breaks the lease on my rental property? 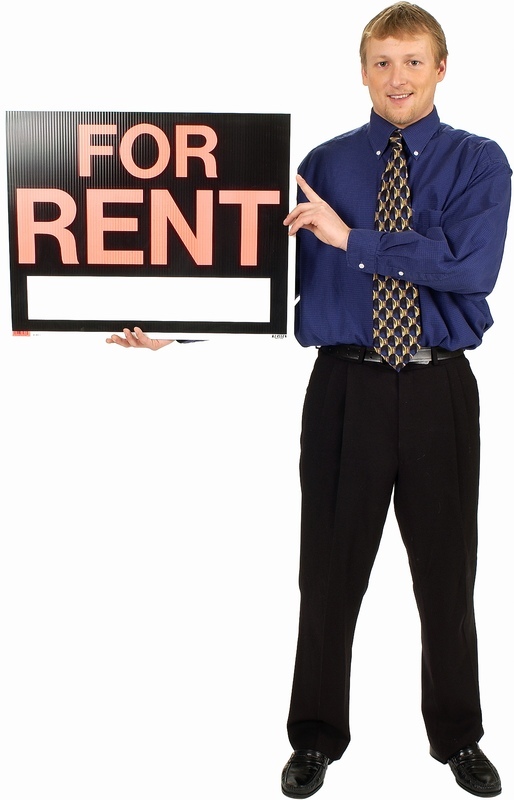 As a renter, your livelihood depends on the prompt and full payment of rent by your renters. But what do you do if this is suddenly jeopardized by the news that your renter intends to break his lease? Obviously cases vary, but here are some suggestions to protect your income and property when faced with a defiant tenant. The lease agreement that you have created and should have had your tenants sign is going to be your best friend. That agreement is binding and legally the tenant can do little to refute and agreement that he signed. In your lease agreement you need to clearly outline the expectations for payment, such as what day of the month it is due, hoe much is due, the form of payment accepted, and penalties for late payment. It is wise to obtain legal aid when drafting the lease agreement for your property. Common stipulations include that if a renter breaks their lease they are obligated to pay the rent due for the remainder of the time on the lease. Other renters set high fines, usually a previously agreed on figure, that the tenant will pay in the case of early lease termination. Continue reading "What should I do if my tenant breaks the lease on my rental property?" There are two main types of venture capital due diligence. The types of due diligence are business due diligence and legal due diligence. These represent aspects of an investigation that a potential investor or venture capitalist will want to conduct before investing in a potential company or business opportunity. There are many tools that are available to use in conducting due diligence but the basic structure is broken down into two parts. Continue reading "How to pass venture capitalist due diligence"
How do I evict a tenant? By definition eviction means the removal of a tenant (in most cases by a law officer). Other terms used for "eviction" include "unlawful detainee", "summary possession", or "forcible detainee". Before a tenant can be officially evicted, the landlord must go to court and win the eviction lawsuit. Eviction is a legal process that is far more involved that just locking the tenant out of their apartment. Eviction laws vary from state to state. There are many reasons why a landlord would want to evict a tenant. When you decide to rent out a property, you have some expectations attached. Obviously, you want to be compensated. You want the tenants to take care of the property. And you want to know if you can trust the tenant to pay their rent on time, to be respectful of other tenants, to fulfill the agreements of the lease agreement, etc. There are some cases when an eviction takes place "without cause." This is when there is no standing lease agreement or the lease is expiring. This type of eviction is more difficult because of the ordinances in place by government that protect the renter from being evicted without a just cause. Also, 1-3 months written warning/notice is required for this eviction. Continue reading "How do I evict a tenant?" A boilerplate is a section usually found at the end of an agreement that lists, in detail, binding legal provisions. This portion of a contract is often glazed over, but doing so could cause you a lot of future trouble. Those who simply glance quickly over these business contract boilerplate will often be "burnt" if legal action is taken against them. You should council with your attorney whenever signing any serious contract. Now that you have your own business, you will be the one writing the boilerplate for your own business contracts. Your legal council is your best friend when you are drafting these documents, so do not underestimate his role in this process. Neglecting to receive all the legal help necessary at the beginning of your small business process can lead to devastating and destructive financial ramifications in the future. Continue reading "Business contract boilerplates for small business"
Tips for finding a good business lawyer. If you are starting a business, having a knowledgeable, reputable lawyer is invaluable. There are a number of reasons a business should have legal representation, as a qualified attorney can help them avoid legal snares associated with employees, taxes, or litigation. Continue reading "Tips for finding a good business lawyer." So you're starting up your own small business. You've thought of a fantastic name, you've found a great place for your business (either physical retail space or retail space online), and so now all you have to do is design a logo, buy a sign, and you're ready to go, right? Wrong. Choosing a name and getting the legal rights to a name or a brand for your small business is much more complicated than simply thinking something up and printing it on your business cards. You need to get the legal rights to any names or brands associated with your small business, and getting those legal rights can be a pretty complicated process, especially if you're not sure what it is that you're doing. Continue reading "How to legally protect your brands"
There are so many different ways that you can go about improving your small business. If you are in need of improvement but you think you have done everything possible there is to do. You might want to reconsider things. Another thing you can do is to set regulations and policies to improve your small business. If you don't see how this will help your small business improve here is some information on setting regulations and policies to improve your small business that might be able to help you get a better idea. The first thing is to make sure that you know what types of regulations are in effect right now. Once you have figured this out figure out how you can change them or add to them. For example if you certain regulations about when your employees can take off make sure that these regulations are being followed. The reason for this is because if one employee is taking off all the time which in return is making it so another employee always has to cover for them you might have a unhappy employee. Making sure that your employees are happy is one of the biggest ways to improve your small business. The reason for this is because if you have an unhappy employee your customers are probably going to be able to sense this and not like the mood that is being put off. Continue reading "Setting regulations and policies to improve your small business"
Starting a new business can be a very confusing process if the potential business owner has not done their homework. Every city and state has different laws and requirements when it comes to starting a new business. For the most part, the different requirements are all variations of a few basic elements. The following are a few generally requirements that may be required by a city or state government before a small business can commence operation. No matter where a potential small business owner wishes to start their company it is likely that they will need to acquire a small business license. The process for gaining a license will be different in each city or state, but most will require an application fee, the name of the owner, and the name of the company. Others might also want to know the nature of the business and where the owner plans to operate. Business owners should make sure to gain access to all of the requirements for their geographic location to make sure that they are in compliance to all of the laws before they ever open their doors for business. Continue reading "Licenses needed to start a small business"
Steps to take to ensure your home business is operating legally. There are a few steps to take to ensure your home business is operating legally. To start with make sure the business is licensed or registered. Once the licensing is legal, make the decision of having employees or not. To ensure your home business is operating legally get it licensed or registered. Each state has different laws relating to small businesses. To find out what the laws are for a particular state call the local state offices or go online to their web sites. There are requirements for county and local areas too, so check them all out. Continue reading "Steps to take to ensure your home business is operating legally." When it comes to the legal aspects of running a home business one thing that many people don't realize is that there are a variety of things that you are going to need to consider. And what you are going to have to consider will depend on what kind of a business you are going to be running from home. The reason for this is that if you are running an online business you are going to have to face different legal issues compared to a person who is selling direct out of their home. The same thing holds true for if you start your business as a sole owner, a partnership or a corporation. The thing is that each of these types of business has different legal issues, not to mention different forms that need to be filed out. But aside from the forms and legal issues the tax reporting laws and deductions for each type of business can be very different. So basically in order to know about all of the legal aspects that are included when running a home business you are going to need to determine where you are doing business, how you are doing business and what type of business you are going to open. Once you know exactly what you are doing you can then look into the various legal aspects for that style of business. Continue reading "Looking at the legal aspects of running a home business"
Here are some legal tips that can help keep your small business out of trouble. First of all know the laws. Read up and be aware of laws pertaining to your business. Avoid situations by having a previous knowledge of how to handle legalities that come up. It is always recommended to have a lawyer for your business. They will be able to remember laws that you forgot, and back you up on them. They will also be able to counsel you in when you need. Have everything in writing. Verbal contracts will cause most likely problems down the road because they rely on memory and memories can fade or change over time. Even if you feel it is someone close, a written contract is still very advisable. In case it wasn't said enough, write everything down. Continue reading "Legal tips for small business"
protect me from discrimination at work? Basically, the ADA means that you can't be discriminated against for having ADD/ADHD. Keep in mind the following few things. There are pros and cons to telling your boss about your condition before you are hired. You need to consider all of these pros and cons, and consider them carefully. Continue reading "What rights do I have under the Americans With Disability Act (ADA) to"
We've all heard the jokes that are out there having to do with lawyers. Lawyer jokes are as old as the hills. Lawyer jokes represent lawyers as mean and nasty, as greedy, as unwanted. Lawyer jokes represent lawyers as an evil in society, as a barnacle on the ship of society. Lawyer jokes say that lawyers are money-hungry rats and sharks. Lawyer jokes go after lawyers all day long, and never let lawyers off the hook. Is there truth to these jokes? Are lawyers bad? Will lawyers steal your last dime and leave you to die slowly in the streets? The answer, of course, is that there are bad people in every business, the law included. There are good lawyers and bad lawyers. There are greedy lawyers and generous lawyers. There are honest lawyers and dishonest lawyers. The list goes on and on. Wow - what an aggressive question to begin with! We've all heard the jokes. We've all heard the accusations, the little comments. Lawyers are evil. Lawyers are corrupt. Lawyers are - nasty and vicious. Lawyers want all your money! Lawyers want your every last penny! Lawyers will steal your widowed mother's last penny and leave her to rot in the street! Lawyers, we all know, are money-hungry dishonest predators in thousand dollar suits! "What's the difference between a lawyer and a bucket of pig guts? The bucket." Etc. etc. Yes, it's true, lawyers have even been compared to pig guts. But are lawyers really that bad? Don't lawyers serve a pretty important function in any law-abiding society? Yes, they do. How do lawyers serve an important function in any law-abiding society? Lobbying is the practice of influencing government decisions. Persons, organizations, corporations, and special interest groups regularly lobby for governmental decision making or action in their favor or for protection of their interests. Those who lobby for a living are called lobbyists. Lobbying is a common practice dating back to the 1800's, when special interest leaders would gather in the lobbies of state legislature and Congress to petition for their interests. Legislators regularly work with lobbyists, and lobbyists contend with decision making legislators, insomuch that lobbyist-written legislation is occasionally approved. Many large and well-known special interest groups, organizations, and professional lobbyists maintain a constant presence in Washington and in state capitals to sustain the protection and favor of their interests. Large corporations will often employ lobbyists to represent their interests in legislature. What's an attorney at law? An attorney at law is a lawyer. 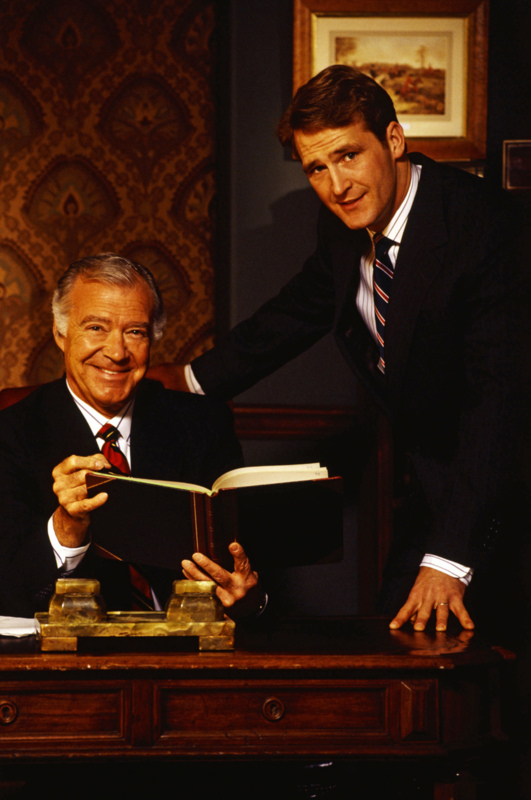 "Lawyer" means "attorney" and vice versa. An attorney at law is a person who is licensed to practice law in a particular state. An attorney at law is licensed to deal with the law. An attorney at law has been trained very extensively in the law. An attorney at law is an expert in the law. What's the good of an attorney at law? An attorney at law, commonly called a lawyer, is a very necessary element of any well-functioning, orderly society. A well-functioning, orderly society is a law-abiding society. A law-abiding society keeps the laws of a given society. A law-abiding society follows the law. The law is a system of rules and regulations that provides order in a given society. A society, for example, makes a law against stealing. This helps things to go along smoothly. If there's no stealing, merchants can stay in business. Farmers can stay in business. Everybody can stay in business because they're being paid for their work. The law helps everything to run smoothly. An attorney at law (or lawyer) is an expert in the law who represents people when they've broken the law or when they're the victims of a law-breaker. Aren't attorneys at law evil? Aren't lawyers evil? Continue reading "Attorney at law"
How to handle the legal aspects of owning a small business? How to handle the legal aspects of owning a small business? Owning a small business has several legalities that if a business owner is not careful, they can end up in lawsuits or worse. What type of business are you planning on going into? This is a very important question when it comes to what the legalities that are involved will be. Here are some of the basic legal concerns that you will have to look at for your business. Continue reading "How to handle the legal aspects of owning a small business?" What good is a lawyer in the first place? We've all heard the jokes. The jokes are repeated endlessly! Everywhere you go, it seems, you hear a lawyer joke. Lawyers are bad. Lawyers are evil. Lawyers are greedy. Lawyers are mean, they'll take your poor, widowed mother's very last dollar. Lawyers will take candy from a baby. We've all heard the jokes. Surely there's something to them! If so many people are joking about something, there must be some truth to the jokes. And that's right, in a sense. Some lawyers are bad; some lawyers are greedy; some lawyers do want your widowed mother's last dollar. On the other hand, there are lots of good lawyers out there, too. Good lawyers are vital to any legal system. Good lawyers keep a legal system strong, safe, and bristling with possibilities. The law, after all, is very complicated, and lawyers are trained in the law. Without lawyers, the average Joe would be completely at the mercy of the law. If he did something wrong, purposely or otherwise, the law would fall on him and crush him. A good lawyer, however, will protect the average Joe from receiving the full brunt of the law. A good lawyer will help the average Joe who finds himself in trouble live a fuller, happier, less stressful life. A good lawyer can bring you peace of mind, save you loads of money - even (if your case was dramatic enough) get you out of jail. Why would I need a good real estate lawyer or attorney? Let's say you own a piece of land, but some other fellow comes in and disputes your claim. He says, "My great-grandfather bought a piece of this one hundred years ago; therefore, it's mine." In that case you'd stand in dire need of a good real estate lawyer or attorney. A good real estate lawyer or attorney would figure out if the fellow's claims were true or not. A good real estate lawyer or attorney would protect your rights in a court of law. A good real estate lawyer or attorney would navigate the complicated terrain of real estate law, and make sure that your property remained yours no matter what others said about it. Or let's say that there's a family dispute about a piece of real estate. One brother claims it's his, another brother claims it's his. A good real estate lawyer or attorney would be required in this case, too. A good real estate lawyer or attorney would help to clear up the confusion. A good real estate lawyer or attorney would figure out who owned what. Continue reading "Real estate lawyer"
According to the Better Business Bureau there are only two standings. You can either have a satisfactory rating or an unsatisfactory rating. These ratings apply to every company whether they are a member of the Better Business Bureau or not. If the Better Business Bureau has generated a report on your company then you will receive a rating. Continue reading "How to improve your standing with the Better Business Bureau"
How to Choose Your Business Status for Legal Purposes? One of the primary concerns to someone who begins a new business is the liability to their own assets, like their home, bank accounts, credit ratings, etc. Continue reading "How to choose your business status for legal purposes"
What is an employment attorney? First of all, "employment attorney" means "employment lawyer," and vice versa. When you think of an attorney, therefore, you are thinking of a lawyer. An employment attorney is a lawyer who specializes in employment law. I'm used to think of lawyers as the bad guys. Am I wrong? It's true - we've all heard the lawyer jokes out there. Lawyers are evil, lawyers are greedy, etc. Lawyers, however, perform a very important function in our society. Lawyers are trained in the law, which is a complicated affair. Lawyers go to school for years and years in order to understand the law, just as a doctor goes to school for years and years in order to understand the human body. If you find yourself in physical trouble, you go to a doctor. If you find yourself in legal trouble, you go to a lawyer (or attorney). Lawyers come in handy in all sorts of circumstances. There are, after all, a lot of laws out there for you and for others to break. If someone breaks the law and harms you in some way, you'll need a lawyer to protect you and get you your just rewards. You'll need a lawyer to represent you, and to get you your rights. On the other hand, if you break the law and hurt someone else - well, you'll still need a lawyer. Justice is a stern thing, a hard thing. Justice will come after you with all of its might. If you've broken a law, justice will deal with you rather grimly. A lawyer is a person that will sort of stand between you and justice so that you have a better chance of surviving the experience. A lawyer will try to soften justice's impact on you. He or she will help you to know your rights (yes, you still have rights even if you've broken the law), and will help you to receive as light a sentence as possible. It's true that there are a lot of lawyer jokes out there, and a lot of talk about how bad lawyers are. But the thing you have to realize is that a lot of it is just that - is just talk. It isn't warranted, in other words. It's true that there are a lot of bad lawyers out there. But there are a lot of good ones, too. Lawyers help our society to function smoothly. After all, lawyers are experts in the law. It's true that you hear that lawyers are evil. It's true that you hear that lawyers are scum. It's true that you hear that lawyers are greedy, stingy, predatory people who will steal your last dollar and let you rot in the street. But if you ever find yourself in trouble with the law; if you ever find yourself cheated badly by someone else; if you ever find yourself hurt by someone, or if you ever accidentally or purposely hurt someone (as in, for example, a divorce case), you'll be glad to have a good lawyer on your side. Ok - we've all heard the jokes - lawyers are mean and nasty and evil. Lawyers are sharks - lawyers are money-hungry predators just out to make a buck at everyone else's expense. Lawyers are the cause of all the sorrows in the world! Without lawyers, we'd be much better off. Without lawyers, children would always respect their elders, the environment would get cleaned up tomorrow, and war as we know it would end and peace would come to the earth on eagle's wings. When you stop to think about, however, lawyers do play a quite crucial role in our society. Lawyers, after all, are experts in the law - lawyers are trained in all the ins and outs of our very, very complicated legal system. A strong legal system means a strong country, a strong people - and lawyers are a key ingredient in keeping the legal system strong. It's true that there are some bad lawyers out there - but there are also a lot of good ones. Those good lawyers help to defend the rights of the average guy on the streets. The average guy on the streets isn't aware of all the complications of the law, all the twists and turns - if he was to do something wrong, purposely or otherwise, the law would come down on him with all its might and crush him. With a lawyer, though, the average guy on the street stands a chance. He stands a chance of working within the system and thus living a fuller, happier, better life. One example of a good lawyer is a disability lawyer (also called a disability attorney). A disability lawyer or attorney is there to protect the disabled. A disability lawyer or attorney is there to make sure that the disabled among us are able to enjoy all the benefits of a free society. A disability lawyer or attorney will defend the disabled from unfair employers, corporations that otherwise would take advantage of the disabled or ignore them altogether. In recent years, the rights of disabled people have come to the forefront of national debates all over the world. Laws have been passed to protect the disabled from unfair treatment in the workplace and in society generally. A disability lawyer or attorney is there to ensure that those laws are enforced - that those unique, special, quite new laws are recognized and respected by the public at large. Ok, ok, we've all heard a good lawyer joke or two in our lifetime. Everybody's heard a good lawyer joke. For example - "Why did scientists switch from rats to lawyers when performing their experiments? Because lawyers breed faster and are harder to get attached to." Etc. etc. Lawyers are evil. Lawyers are nasty. Lawyers are wicked. Lawyers will steal your last dollar from you, they'll steal your soul if they can (owning to the fact that they don't have souls, of course). Lawyers are money-hungry shark-like predators with grinning toothy smiles and bloody chins. Etc. etc. We've all heard the jokes - we've all heard the comments. There are probably millions of lawyer jokes out there. "How do you get a lawyer out of a tree? Cut the rope." "What's the difference between a lawyer and a bucket of pond scum? The bucket." Etc. etc. All jokes aside, lawyers do perform a fairly vital role in our society. Lawyers, after all, maintain and uphold the law. The law is a very, very complicated affair, and lawyers are trained to be experts in the law. If you think of the law as a great, tight, complicated knot, a lawyer is someone with extremely clever fingers who can come in and unravel that knot for the average man and woman who haven't benefited from training in the law. What are attorney legal services? An attorney at law is a lawyer. "Lawyer" means "attorney" and vice versa. An attorney at law is a person who is licensed to practice law in a particular state. Attorney legal services are the services that an attorney provides. For example, attorney legal services could include writing a letter to someone who had cheated you. You wanted your money back, say, but you wanted to write a letter that had more authority behind it than just your authority. You'd hire a lawyer or an attorney in that case - and your attorney's legal services would be to write a letter that would impress the person who had cheated you enough that they'd make things right. Continue reading "Attorney legal services"
Asbestos is a problem that unfortunately is on the rise. A certain substance that's often found in ceilings and walls, asbestos can lead to death. Breathing too much of it in, inhaling it too often, and absorbing it dangerously can lead to cancer and much suffering. In the old days, asbestos wasn't something that you dealt with too often. But as houses and apartments aged and began to molder, and as more and more people renovated their houses and apartments, asbestos began to be a problem. For that reason, asbestos lawyers appeared on the scene. A lawyer is someone who helps you to get your rights. A lawyer will help you when you've been mistreated somehow. If you've been horribly injured, for example, and through no fault of your own, a lawyer is someone who will come in and take care of business for you. That is, a lawyer will get you rewarded financially for what your injury has cost you. A lawyer, then, is especially crucial when it comes to being hurt or injured because of someone else. An asbestos lawyer's job is to help those who are suffering from asbestos intake. People have been aware of the harmful effects of asbestos for a long time now. But removing asbestos is an expensive thing to do. It requires major renovation every time. If an apartment is full of asbestos it's going to cost the landlord a lot of money to take care of it properly. If an office building is full of asbestos it's going to cost the management a huge amount of money to rectify the problem. That being the case, you'll often find situations where landlords and managers just sort of quietly let things slide. That is, they don't take care of the asbestos problem because of the expense involved. They let their tenets and employees sit there sucking in asbestos day after day and night after night. The tenet or employee is doing enormous damage to their bodies unawares. If you've been diagnosed with cancer because of that sort of negligence, an asbestos lawyer will, sadly, be necessary for you. A lawyer (or attorney) is someone who has been trained in the law. A country is made up of more laws than you can think of. There are literally thousands upon thousands upon thousands of laws in the United States alone. Oftentimes a person will find himself in a situation where he has broken the law. Oftentimes a person will find himself in a situation where someone else has broken the law and violated his rights. In both circumstances a lawyer or attorney will come in very, very handy. A lawyer or attorney will step in to make sure that a person who has committed a crime receives some sort of protection. Or, a lawyer or attorney will step in to protect the victims of crime. It is good to know that even criminals have a right to a lawyer or attorney. Even if you've broken a law, other laws say that you have a right to hire a lawyer or attorney to protect you. Sometimes justice will be too harsh on someone who's committed a crime. Even those who have committed crimes have rights. What are the legalities of licensing a small business? All businesses need to get a business license. It does not matter if you are working from home, creating an online business or opening a full, on location small business. There is a great deal of information on the World Wide Web that states that a business license is not necessary. However if you check with the state and city clerk offices you will find that information as wrong. Continue reading "The legalities of licensing a small business"
What good is a lawyer? A lawyer is there to help you get your rights. If you've been wronged somehow - let's say you've been injured on the job through no fault of your own - a lawyer will help to turn things right again. In the example cited above - an injury on the job - a lawyer would help you to get reimbursed for your hospital visit and for your time off of work. A lawyer might even help you get money for the future, if your injury was bad enough. Lawyers are there to protect you from powerful agencies, too. That agency might be the place where you work, it might be a business, it might be city hall. Whatever the details, a lawyer is there (in many cases) to help a powerless person defend himself against the powerful. A lawyer is extensively trained in the law - he knows what your rights are and how to get them. Why might I need a tax lawyer? Taxes are a complicated affair, and almost everyone is intimidated by them. It's easy to make mistakes on your taxes; it's easy to put them off for a long time. But taxes are one area wherein governments are very diligent to see that everybody is keeping the law. The IRS isn't very merciful when it comes to making mistakes on your taxes or putting them off. If the IRS decides to audit you, and you're aware of some problems with your tax history, a tax lawyer is going to be crucial for you. A tax lawyer will come in to defend you. A tax lawyer will help you to get your taxes sorted out. The IRS is a huge, powerful agency; a tax lawyer will stand between you and it as a sort of buffer. You can think of a tax lawyer as your best defense against the IRS. Even if your tax problems aren't your fault, you'll need to consult a tax lawyer. Even if your tax problems are your fault, you'll need to consult a tax lawyer. A good tax lawyer has been trained in all of the laws having to do with taxes. There are literally thousands and thousands of tax laws. It would be impossible to comprehend all the different tax laws without special training. A tax lawyer has had the special training necessary. What are the top 5 employment laws that pertain to small business? If there had to be 5 laws that a small business owner should keep in mind, these 5 would be where to start. However, this is only the starting place. There is much more out there that a small business owner should contact the professional services of an attorney. They will want to make sure that there is no liability left open. Here is a list of 5 of those laws that pertain to small business. Continue reading "Employment laws pertaining to small business"
What good is an attorney in the first place? We often hear that attorneys (also called lawyers) are bad. Attorneys or lawyers are greedy. Attorneys or lawyers are corrupt. Attorneys or lawyers live for money. Attorneys or lawyers will try to get away with what ever they can. Attorneys and lawyers defend the indefensible. Attorneys and lawyers are just out to make a buck. Etc. etc. But attorneys or lawyers actually do serve an important role in society. Attorneys or lawyers are trained in the law. They're experts in the law. The law is a vast, huge, complicated thing. It would be impossible for a person without any training to know their way around the law, and most people lack such training. Lawyers uphold the law in a certain way. Lawyers, in a certain way, make sure that the law is followed. A lawyer or attorney can help a powerless person against the powerful. For example, if Bob is fired unfairly from a giant business, he'd be helpless on his own. He wouldn't know what to do. The company is big and powerful, Bob is not. The company has lots of money, Bob doesn't. The only thing that Bob could do in this case is hire an attorney. An attorney (or lawyer) would bring some equality to the fight between Bob and his company. There are many examples of lawyers doing fairly heroic things out there. Military law is complicated law, is harsh law, is brutal law. That's how many people see it, at least. The military, after all, deals with war, deals with violence, deals with death - the military can't afford to be weak when it comes to law. The military has a very rigid, specific system set in place. There isn't a lot of "wiggle room" in military law. Those who have been accused by the military of doing something wrong, therefore, really find themselves in a difficult situation. There are other, milder ways of looking at military law, however. The military (in some ways) is a business just like any other - a bureaucracy just like any other. The military has its bosses, it's secretaries, typists, mailmen, errand boys, computer technicians, janitors, data entry people, etc. etc. etc. Not everybody in the military is a soldier. Not everybody's a general, obviously, not everybody's directly tied to combat. But still, even as a corporation the military behaves uniquely - and requires special lawyers to try its cases. A military lawyer (also called a military attorney) is simply a lawyer who's trained in military law. When talking about mastering anything, it's helpful to focus on what we mean by "master." To master something is to be an expert at it. To master something means to know it in and out, and to be ready to be called upon to use it in a given situation immediately if and when required. The mastery of something, whether it be in sports, academics, the arts, business, and so on, implies hours and days of years of persistent work. When considering how to master the legal aspects of our business, this is something we should keep in mind. 1. When it comes to business, there are lots of laws, and lots of those laws are in a more or less constant state of change. This doesn't mean, of course, the sort of dramatic change wherein something that's legal one day is illegal the next. Business laws, rather, change in more subtle ways in order to facilitate an ever changing economy. Mastering the legal aspect of your business, therefore, is a matter of mastering the fundamental laws of your business, and keeping up with the subtle chances through both your own research and the skills of professionals hired for that specific purpose. Continue reading "How to master the legal aspect of your business"
The Better Business Bureau only has two kinds of reports, satisfactory, which means you have meet all the minimum requirements set forth by the Better Business Bureau, and unsatisfactory, which means you have not meet the minimum standards set forth by the Better Business Bureau. Anybody can ask the Better Business Bureau to generate a report on any business, if the Better Business Bureau does not have a report already on record. If the Better Business Bureau does not already have a report generated on your company they will contact you and send you some paperwork to fill out. They will use the information that you provide them to do a background check on your company, which is why it's important to answer honestly. The Better Business Bureau has the resources necessary to find out if you have done business under any other names, if you do not provide this information because you are trying to hide a previous unsatisfactory report you can get in trouble for fraud which would bar you from ever becoming a member of the Better Business Bureau. Continue reading "5 ways to get on the BBB good list"
ttorney) can really, truly be the best friend of your average employee. Your average employee, after all, is not really considered a strong person in most societies. They aren't bosses, bigwigs, the man in charge; rather, they work for the man in charge, and sometimes the man in charge isn't the fairest, kindest, most charitable person in the world. Employment lawyers or attorneys make sure that the man in charge is treating his employees fairly. Employment lawyers or attorneys take care of the average worker out there - they make sure that the average employee's needs are all taken care of, and that the things he's been promised by his company actually come about. We've all heard the jokes - about a million times. We've all heard those funny, funny lawyer jokes. Lawyer jokes really seem to abound these days. Lawyers are liars, lawyers are thieves, lawyers are bloodsucking predatory monsters who live only for money, lawyers will steal candy from a baby and rob an old woman of her last dollar. We've all heard the jokes; we've all heard the accusations. "What's the difference between a lawyer and a big, nasty, stinky bowl of unmentionable slime? The bowl." Etc. etc. It seems that everywhere you turn these days you hear a lawyer joke. Lawyers are even ahead of blonds when it comes to a class of people that gets joked about often. But why should this be? Why should this be the case, after all? Lawyers do serve a legitimate purpose in society, don't they? Lawyers are crucial to a society's survival, aren't they? The fact is that lawyers do play an important (even a vital) role in any well-functioning society. Lawyers, in fact, are, in a sense, defenders of the law. Lawyers are experts in the law. Lawyers have studied for years and years to know the law - to know the labyrinth of the law - inside and out. Imagine the law as a huge, complicated labyrinth with hundreds of thousands of twists and turns. A labyrinth is a maze. Imagine, then, that you are in this huge maze. You have no idea of how to get out. You want to get out; you can't. There's always another turn, there's always another door. The maze goes on forever. You're trapped. There's nothing you can do to get out. Continue reading "How to find a lawyer"
A real estate planning lawyer (sometimes called a real estate planning attorney) is a lawyer who specializes in real estate law. Real estate law is a complicated affair; it's hard to navigate on your own. Let's take some examples of case in which a real estate lawyer would be needed. 	You own property; you've spent years keep it up; you want to make sure it remains in the family. You want to leave a will behind wherein certain members of your family inherit your property. A real estate planning lawyer or attorney would help you to do this. You can't just write out your will on a piece of paper, stick it in a drawer, and hope that it works once you are gone. A real estate planning lawyer is needed when someone makes out a will. Continue reading "Real estate planning lawyer"
So, you've come up with a wonderful product, have you, and now you want to discover and make permanent a trademark for it? A trademark is something that catches everyone's eye - it's the thing that says, "Here's my product! You know you want it!" Finding a good trademark can make or break a product, in fact. Finding a good trademark is the difference between the public knowing what your product is and the public not knowing about your new, exciting product. And, since finding the right trademark is a pretty big deal, you might want to consider also finding a good trademark lawyer (also called a trademark attorney) to help you along with the job. Believe it or not, trademark laws are highly complicated. They seem to go on forever. There are all sorts of things you need to know in order to find and market a successful trademark. Luckily, there is help to be had. A good trademark lawyer or attorney will dig in and do the dirty work for you. A good trademark lawyer or attorney has been trained in all the ins and outs of trademark law. He or she will be able to answer all your questions regarding trademark law. If you're worried that your trademark has been used before, a good trademark lawyer or attorney will find out that information for you, and give you peace of mind in the process. If you are an owner of a small business or any type of business you are well aware of the fact that business laws are constantly changing. Trying to keep track of the most current business laws can seem to be a most daunting task. But if you know a few simple tips keeping atop of continually changing business laws is actually rather simple, if you can understand all of the legal terms that is. Most businesses have a lawyer on hand whom they can use for advice or preparing contracts and anything else that they might need a lawyer for. This is a great resource to use when trying to keep current with the ever changing business laws. Lawyers have to engage in continuing education classes and are usually going to seminars related to the type of law that they practice. This is required by the Bar Association so that the lawyers are always up to date about what kinds of laws might affect their clients. If the lawyers do not know the laws then they will not be able to fully represent their clients best interests. Continue reading "How you can stay atop of continually changing business laws"
As most people know a partnership is a business where two or more people are partners in running the business. Partnerships can be formed by a simple handshake or an oral agreement, but these are not recommended because if a disagreement does occur it can be hard to prove what the original agreement covered. The best idea to use if you are going to create a partnership is to write up a formal partnership agreement, this way there can be discrepancies in what was originally agreed upon. Unlike other forms of businesses you do not have to file any legal paperwork with the government but there are still some papers that must be filed. Since there are no legal papers that need to be filed when forming a partnership it can get kind of tricky to cover your bases legally when forming a partnership. The best way to make sure all of your bases are covered is to hire a lawyer who specializes in small businesses. You can also do plenty of research with the Small Business Association and with the IRS to see what a partnership is legally responsible for. For example the partnership does not pay state or federal income taxes, but they must file an informational partnership tax return once a year. This form will show the profit or loss of the company and what is being claimed by each partner on their individual income tax returns. Continue reading "How to cover your bases legally when forming a partnership"
What's the point of a lawyer, anyhow? What is a wills trust estate attorney? A wills trust estate attorney (also called a wills trust estate lawyer) can help a person when it comes to his or her will, trust fund, and real estate. This, as you can imagine, is a very, very complicated area of the law. When you die, who gets what? What goes where? Fighting over wills and trust funds can tear a family apart. Therefore, it's important for a person to hire a wills trust estate attorney or lawyer before they pass away. What good is a lawyer anyhow? Aren't lawyers lying, cheating scoundrels? We've all heard the jokes, the accusations. Lawyers are evil. Lawyers are nasty. Lawyers are wicked. Lawyers are lying, cheating scoundrels. Lawyers are modern day monsters. Lawyers will steal your last dollar and leave you for dead. Etc. etc. There may be some truth to these accusations - there are bad people in every profession, after all. The law is no different. There bad people in the law, and there are good people in the law. Good lawyers help to sustain and uphold the law. The law is a very complicated affair, and lawyers are trained to be experts in it. Good lawyers help to keep our legal system strong and healthy. Good lawyers protect the average man and woman out there. The average man and woman out there aren't aware of all of the ramifications of ever law, but a good lawyer is. A good lawyer will act as a mediator between the average man and woman and the law. That is, a good lawyer will act as a sort of protecting wall between the average man and woman and the law. A good lawyer will protect the average man and woman from being entangled and trapped in the law. Continue reading "Wills trust estate attorney"
We've all heard the jokes. Attorneys at law are evil. Lawyers are evil. Attorneys at law will steal your last dime. Attorneys at law will steal a dollar from your grandmother and let her starve. Attorneys at law will let you rot in the street so long as they get their paycheck, their fee. "What's the difference between a lawyer and a huge, smelly bucket of rancid, curdled, yellow milk? The bucket." Etc. etc. We've all heard the jokes. We've heard those lawyer jokes a million times. There must be something to them, right? And guess what - there is something to them. There are good lawyers out there and bad lawyers out there. There are good attorneys at law out there and bad attorneys at law out there. The law, after all, is just like any business, to a certain extent. You have good guys and bad guys, lazy guys and guys that are hardworking. Continue reading "How to choose between lawyers"
What causes can I evict a tenant for? When you decide to rent out a property, you have some expectations attached. Obviously, you want to be compensated. You want the tenants to take care of the property. And you want to know if you can trust the tenant to pay their rent on time, to be respectful of other tenants, to fulfill the agreements of the lease agreement, etc. Continue reading "What causes can I evict a tenant for?"  You have to be able to trust each other: In order to have a successful partnership you have to be able to trust each other. If you cannot trust each other your business will not run successfully. You have to know that your partner is going to go through with their part and they have to know that you are going to go through with your part. Otherwise your business will not ever do well, it will just stay stuck in one spot and you will eventually have to close. Continue reading "How to dissolve a business partnership:"
Becoming a limited liability company is harder than just being a partnership or sole proprietor but its benefits will most likely pay off big-time in the end. A limited liability company combines the benefits of both a partnership and a corporation. By becoming a limited liability company you can get the best of both worlds. Partnerships and corporations both have their benefits. A partnership has benefits that a corporation does not while a corporation has benefits that a partnerships does not. A partnership has the benefit of better taxes than a corporation. If not better then at least easier. Instead of the company being taxed annually, only its members are taxed. Continue reading "Limited Liability Company (LLC) - Basics:"